The Indus Entrepreneurs (TiE), was founded in 1992 in Silicon Valley by a group of successful entrepreneurs, corporate executives, and senior professionals with roots in the Indus region. TiE Global is a nonprofit venture devoted to entrepreneurs in all industries, at all stages, from incubation, throughout the entrepreneurial lifecycle. With a global reach and a local focus, the heart of TiE Global’s efforts lies in five foundational programs – Mentoring, Networking, Education, Funding and Incubation. Several members have formed startups and are now charter members giving back to the entrepreneur community. TiE’s ultimate goal is to foster entrepreneurship, creating wealth and employment. Since 1992, TiE Global has been supporting entrepreneurs. The mission of TiE Global is to foster entrepreneurship globally through: mentoring, networking and education, funding and incubation. TiE is dedicated to the virtuous cycle of wealth creation and giving back to the community. TiE’s goal is to enable the next generation of entrepreneurs. 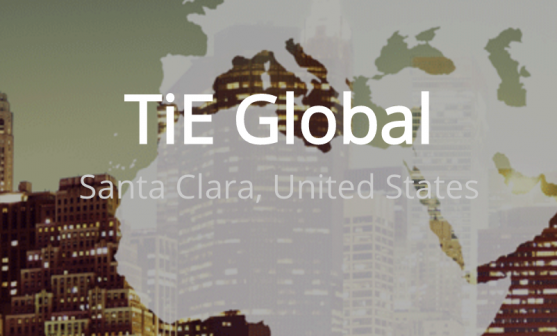 TiE Global is the largest non-profit organization focused on entrepreneurship. TiE connects the entire startup ecosystem from early stage entrepreneurs, serial entrepreneurs, professionals at leading corporations, venture capital, angel investors and thought leaders among others. The organization emphasizes the spirit of giving in all aspects of their work. 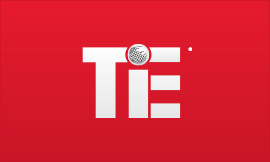 The most widely known event that TiE hosts is TiEcon, the largest professional conference for entrepreneurs. TiE also hosts a wide range of programs events catering to various industry verticals, educational events hosted by TiE Institute, TiE Young Entrepreneurs (TYE) program to foster entrepreneurship in our youth, and TiE Women’s Forum for empowering women entrepreneurs. Besides its flagship event, TiECon – the largest professional conference for entrepreneurs, TiE Global has a wide range of programs including Special Interest Groups (SIGs), TiE Institute, Deal Flow Meetings, TiE Young Entrepreneurs, and, most recently, TiE Women’s Forum and CEO Forum. TiE was founded in 1992 in Silicon Valley by a group of successful entrepreneurs, corporate executives, & senior professionals. There are currently more than 15,000 members and over 1,800 charter members in 61 chapters in 12 countries. Over the last 25 years of existence TiE Chapters around the world has become a vibrant platform for entrepreneurs, professionals, industry leaders, investors to interact with one another & forge long lasting relationships. The mission of TiE Global is to foster entrepreneurship through mentoring, networking, education, funding and incubation. Tie’s focus is on generating and nurturing the next generation of entrepreneurs. By assisting entrepreneurs, we believe we can empower individuals and creating wealth in communities.